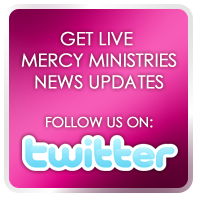 Mercy Ministries News: "Mercy For..." Books Now Available—New Release Special Until May 1! The next two books in the "Mercy For..." series have just arrived! Trapped: Mercy for Addictions and Violated: Mercy for Sexual Abuse. There are now 4 books available in the "Mercy For..." series. In addition to the two new books which cover addictions and sexual abuse, other topics include eating disorders and self-harm. These books are written to bring freedom to all who are struggling with these issues. However, these books are also designed for family members, friends, youth leaders, senior pastors – all those who care about someone who is struggling with these issues or who desires to help someone who is struggling with these issues. THESE BOOKS NORMALLY SELL FOR $10 EACH, BUT WE ARE OFFERING A NEW RELEASE SPECIAL UNTIL MAY 1. YOU CAN ORDER ALL 4 BOOKS FOR ONLY $30!! ORDER BEFORE MAY 1 AND WE WILL SHIP IMMEDIATELY!